Since our inception in 2012, the Food in Action category has proved particularly popular and has sparked creative entries that have gone on to win Pink Lady® Food Photographer of the Year titles. 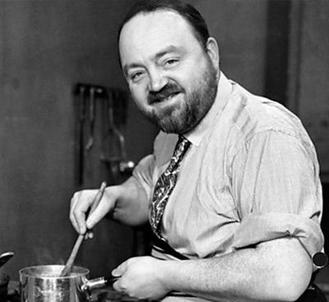 The category is in memory of Philip Harben, the first TV chef in the UK, who also started out as a photographer. He was married to Katherine Kenyon, the sister of Director Caroline’s father-in-law, Max Kenyon. Visit www.britishpathe.com to watch footage of Philip Harben in 1951. For 2018 entries to The Philip Harben Award for Food in Action, we are looking for that same ‘characteristic vitality’ captured within the entries, images that depict a passion for the art of cookery. We want to see images of food in action with people cooking, preparing and serving food anywhere and everywhere, whether at home, in professional kitchens, over a campfire, or in a ship’s galley. Log in and enter your cookery characters now!